Love wolf shifters? 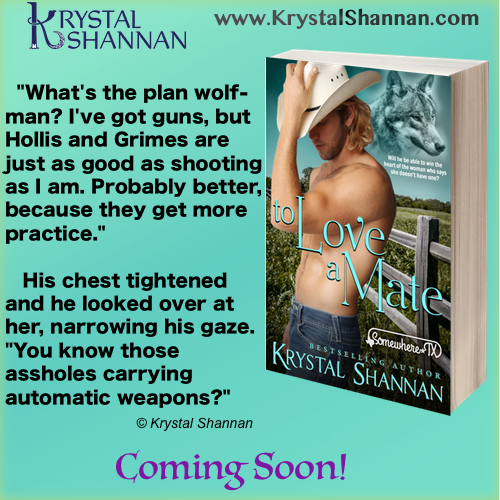 Check out this sneak peek at my upcoming release, To Love a Mate! This new paranormal romance is releasing soon! Coming July 7th in the TEXAS STRAIGHT UP box set!